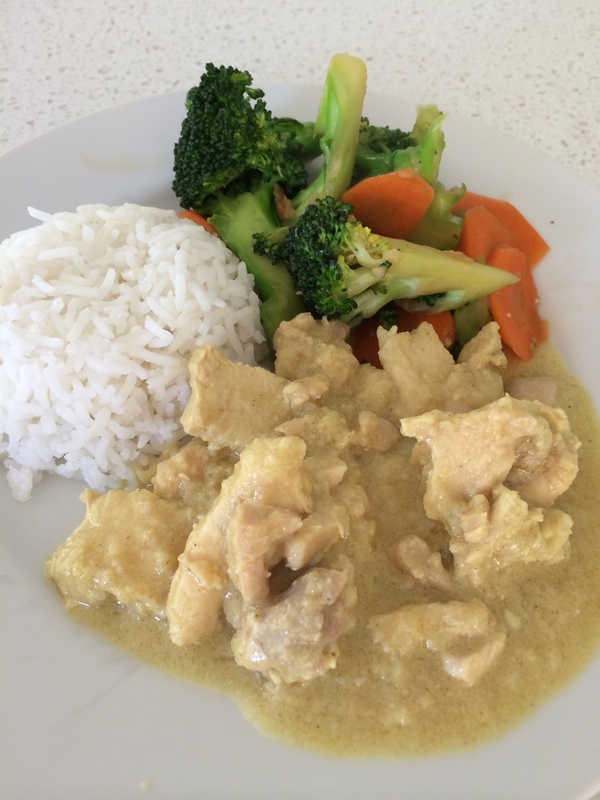 This is a firm family favourite Thermomix recipe, the one to drag out when haven’t any energy to cook. It’s easier than butter chicken because it requires fewer spices and is a fifteen minute meal from start to finish. It’s gobbled up by all and the sauce is great over rice, vegetables or noodles. Kids love this one, just like the comments state. The sauce ingredients are peanut butter, honey, mustard and curry powder. Increased the chicken content to 500 g breast and 400 g thigh meat so it lasts for afternoon tea and dinner. And it still works if you’re running low on peanut butter, honey or mustard. I only used 80g peanut butter, 50g honey and 30g mustard this time and it’s still delicious. The combination of nuttiness and sweetness and mustard is great. It’s plain simple awesome family food.